Join the PA Game Commission, Department of Environmental Protection, and ZOOAmerica North American Wildlife Park for a FREE workshop to explore the successes of the peregrine falcon reintroduction in Pennsylvania; examine falcon specifics and endangered species concepts; and observe falcons in Harrisburg. 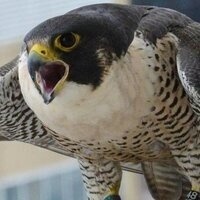 Participants will receive a copy of the Peregrine Falcon curriculum. This workshop includes lunch and refreshments and offers 5.5 Act 48 hours. It is for teachers who teach grades 3-12. To register, contact Ann Devine at adevine@pa.gov or 717-772-1644. Directions will be included in workshop confirmation email.